Businesses have always needed the ability to track and measure critical success metrics in a quantifiable way. The problem is that when there’s too much information, people find it difficult to fully comprehend it and make decisions. In fact, more than one-quarter of SMBs in our 2011 SMB Routes to Market Study indicated that “getting better insights from the data we already have” as a top technology challenge. And the problem is growing: Scientists report that more than1.2 zettabytes of digital information were created in 2010. What’s a zettabyte, you may wonder? (I know I did.) A zettabyte is 1,000,000,000,000,000,000,000 bytes–yes, that’s 21 zeroes! Online video, social networking sites, digital photography, and smart phone data are all contributing to the data pile-up. If that’s not enough to make your head spin, researchers also predict that the annual rate at which we collectively produce data will soar 44 times over the next decade. 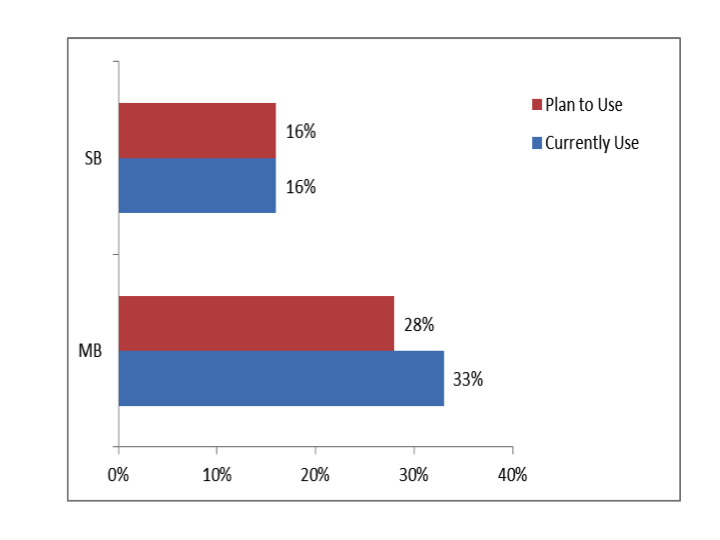 SMB Group surveys reveal that the smaller the company, the less likely they are to use or plan to use BI solutions (Figure 1). Our 2011 SMB Routes to Market Study showed that while 33% of midsize businesses currently use and 28% plan to use BI solutions, among small businesses, just 16% currently use and 16 % plan to use BI solutions. 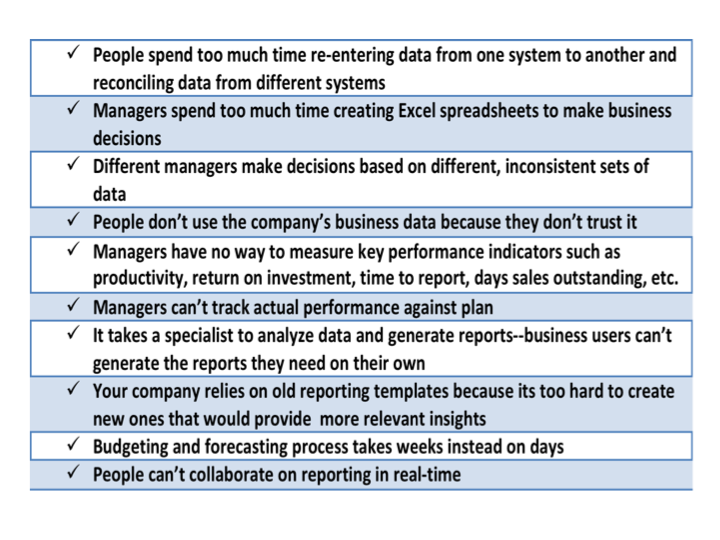 Some of the warning signs that your company’s growth may be hampered due to an inadequate ability to analyze data are shown in Figure 2. 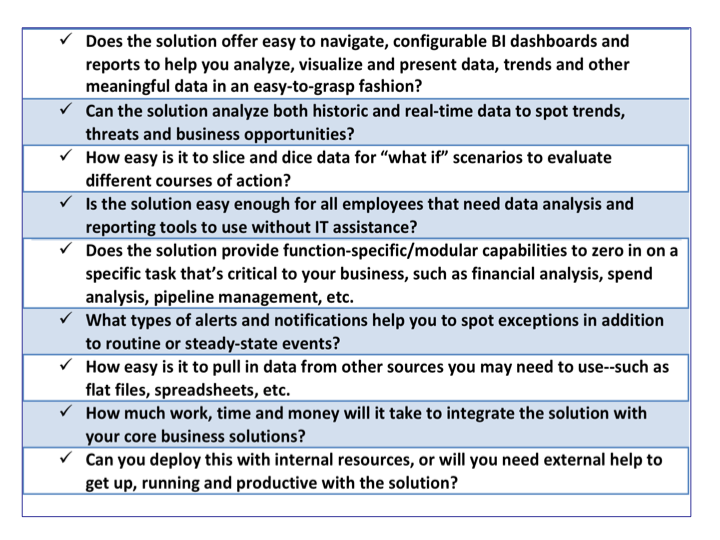 Adding a BI solution on top of disparate, inconsistent and unreliable data is like putting lipstick on a pig. So you need to start by establishing a core foundation of common, trustworthy and accessible data that’s shared across core business applications and processes. If you already run your business with an integrated business solution that pulls everything together into “one version of the truth”, you’ve already fulfilled this requirement. If not, you’ll want to integrate or upgrade the core solutions that your business relies on to ensure that you have a consistent and unified data source.